Step 15. Go with us! 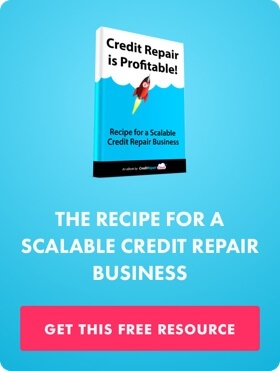 This guide will show you how to start a credit repair business, attract quality clients, and grow a successful new company! With any new business it’s nice to have help from someone who’s been there. Veteran credit repair professionals are often more than willing to help their newer counterparts get their credit repair businesses off the ground. In an industry that is all about helping people achieve their financial goals, it is common to see established companies mentoring new ones to reach as many people as possible. Serious business owners focus on a successful business like they are training for gold medal. So many people think they can do credit repair one or two days a week on top of their current full-time job. This is almost never successful. Clients and prospects will not take you seriously if you’re only reachable a few hours a week. 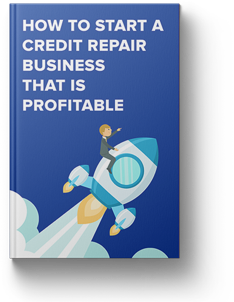 If starting a credit repair business is something you are serious about, and you want to build a profitable business, make it a full-time job. Create a map to success with measurable growth and impact goals in finance,sales, marketing, and operations. The “start first, think later” method is never a good idea when starting any kind of new business. Before even reaching out to your first prospect, make sure you have a well-developed business plan in place. This is a great opportunity to reach out to other small business owners to ask for advice and begin building relationships. Keep in mind, you don’t have to spend any money to do marketing. It can all be done with relationships. 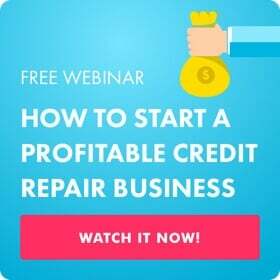 Watch our How to Start a Credit Repair Business webinar and you’ll get plenty of ideas. Identify your target clients: let some go to reel in the ones you want. Before you get started, you should identify which types of potential clients you are hoping to target. This will affect your affiliate, marketing, and operational strategies. This will give you a target range so you can easily decide who is and is not a potential client. Taking on clients who you simply cannot help to achieve their goals is a losing game. Be ready to diagnose any situation with continuing education in the credit repair field. In many ways, you are the product you are selling. People need to feel like you are an expert who can advise them on a very personal and confusing issue. The more you know about credit repair, the better able you will be to teach your clients what they need to know. Read as much as you can about credit repair strategies, history, and the industry. 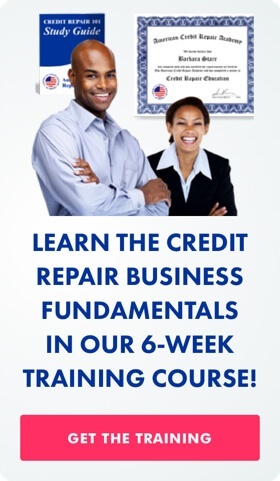 Get credit repair business training, attend events, build relationships with other credit repair professionals, etc. Ongoing personal education will help your business thrive. Additionally, read our blog (for weekly credit repair business tips) and read our many free guides. Learn to pass some responsibilities and administrative work to the team so you’re free to do what you do best. It can be difficult for small business owners to give up control. After all, they have single-handedly launched this business from the ground up. However, you can’t do it all. Fatigue will set in and you will start to let things fall through the cracks. Additionally, working with people with different skill sets will strengthen your business. If you’re a great long-term planner but not so good with the day-to-day, hire an operations guru who can help you with the details. At the very least, if you’re overwhelmed, get an assistant. Building early alliances in the financial services field is a win-win situation that results in happy clients for both of you. Our experts agree that one of the fastest ways to get clients and scale your business is to build strong affiliate partnerships. Mortgage brokers, car dealers, and other lenders make amazing referral partners. They want to see your business succeed so that they can complete a sale to a customer they otherwise would have had to turn away. Focus on creating these relationships in the initial stages of launching your business. Financial affiliates can refer clients to you better if they know how you help people and who you’re looking for. As we mentioned above, affiliate partners are an amazing resource. However, they are not nearly as strong when they are uneducated on how your services work and what types of leads you are looking for. Let them in on the “niche” we discussed above so they don’t spend time sending you unrealistic leads. It also helps to provide them with an education packet or sales script so they know how to talk about your business to potential leads. Start out with a pricing structure that will keep you financially afloat long-term. Many people decide on a pricing structure based on their competitors’ prices. This is often unsuccessful as it does not consider what will actually make your company profitable. Figure out your Cost per Acquisition based on the time, money, and resources you’ve spent acquiring leads. Base your audit fee on this figure so that you know you will always start out with a profit. For example, if your CPA is $89 your audit fee should be greater than that. Before you talk to your first client you must have a clear, transparent plan in place. Before you talk to your first client, you must have a clear, transparent operational system in place. This should include your client intake process, how you will pull credit reports, when clients will be charged, email automation, etc. This will make your life so much easier in the long run and will make your business appear professional to outsiders. If you want lasting results, train your clients on how credit works and help them flex their financial power with better credit habits. And most importantly: To help your clients change their credit and debt habits, so they can maintain their great credit long after your work is done. These little extras (that will be very easy for you) will give your clients the “wow-factor” that will make them want to tell all their friends how much you helped them. This personal touch is what grows a business like wildfire. A sales funnel is the symbolic representation of the sales process, used for decades by salespeople in every industry visualize the path from cold lead to paid client. It’s especially important to understand if you’re starting a credit repair business. 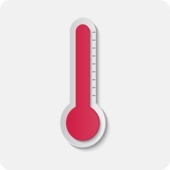 A successful salesperson knows that sales are a numbers game. The object is to get as many leads as you can into your sales funnel, then the strongest leads, after much cultivation, finally become successful sales. It’s always awesome when someone magically calls out of the blue and wants to sign up for your service, but that’s a rarity. Generally speaking, leads are like planting seeds. They don’t grow by themselves. They need a lot of follow up and communication. How do you keep this all organized? That’s where software comes in handy! Here’s the super simple way that many successful credit repair businesses organize their sales process and from within Credit Repair Cloud. A LEAD stays a LEAD until you’ve communicated with them and they show interest. When a PROSPECT is ready to sign up, change their status to CLIENT and pat yourself on the back. Keeping it simple like this is usually the most productive and most profitable. This takes some discipline, but the rewards are great, because each paid client on a recurring plan is very valuable to your business. If you’re a Credit Repair Cloud user, the sales CRM reminder tools are built in. Not sure what to say to potential clients? That’s a whole different subject. See the article about creating a killer sales script. Want to rapidly increase the number of quality leads that enter your sales funnel? Start to build up referrals. Put on a nice suit and meet with every mortgage broker, loan officer, auto dealer, CPA and bankruptcy attorney in your area and offer them a commission for each “paid” client that they refer to you. It’s a win-win for everyone. They make a commission, they sell more homes and cars, and you get a nice stream of quality leads who are ready for your services. Once you have a client, remember to educate them as part of your process, so they can better understand the credit system and give them awesome service so they will refer their friends. And of course, along the way, drip mailings and articles on your site help to establish you as the trusted expert these leads will turn to when they’re ready to get help with their credit. Here’s an example of a web lead form from our website. Remember, the #1 rule about sales: don’t be discouraged. A princess must kiss 100 frogs to find her prince, and you may need to talk to a dozen or more leads multiple times before one of them becomes a paid client, but those numbers will improve over time as you slowly establish your brand, as you establish yourself as an expert and build referrals. That’s how the sales funnel works. Sound like a lot of work? Yes, it is. Now let’s talk about the rewards when it pays off. If you have 300 clients each paying you $79/month, that equals $23,700 each month in recurring revenue. Give them awesome service and they will tell their friends. If you reach 1,000 clients paying you $79/month, that’s $79,000 each month in recurring revenue. We have software users with thousands of clients, making millions of dollars a year. It all starts with a simple sales funnel. A cardiologist has a long road to complete her specialization. She must first obtain a bachelor’s degree, pass the MCAT, graduate from medical school, and then take part in a three-year residency program and another three-year fellowship program in cardiology before taking her board certifications and officially starting her career as a cardiologist. It takes a lot of heart to get through all of that. Fortunately for credit repair business owners, the road to being a credit repair specialist is much shorter and less meandering. First, you’ll want to learn how to start a credit repair business from home. Next, you will want to become a credit repair specialist: an expert your community knows, trusts, and refers people to time and again. Starting a successful credit repair business comes from understanding your market, managing your time and resources well, and implementing a consistent and powerful business plan. Remember, most credit repair clients have been burned by financial institutions along the way, so your first task is to build their trust in you. Just as we wouldn’t want our doctors to rely on decades-old medical training, continued success in a credit repair businesses comes through continuing education. Resources like the American Credit Repair Academy’s credit repair certification program will give you actionable takeaways for clients and clear guidelines for your business from seasoned credit repair specialists. An encouraging community of fellow credit repair specialists like Credit Repair Cloud’s private online community group makes it nearly impossible to fail and gives new credit repair business owners years of experience at their fingertips. Once you know how to become a credit repair specialist, you have to set yourself apart by doing the necessary prep-work to build a successful business with longevity. You are the biggest factor in your success as a credit repair business owner. Get trained and certified, let the community know that you are a credit repair resource, and learn from the combined decades of experience in the Credit Repair Cloud online community. When you put your heart into it, you will succeed! We’ve all seen successful credit repair businesses and wondered whether they had discovered the secret to sales or if they were just supremely lucky. More often than not, their success can be attributed to having a solid marketing and sales strategy. It is not a secret that there is a huge credit problem in the United States. More than 25% of Americans have a credit score below 599 and almost two-thirds of Americans identify as “always or usually” living paycheck-to-paycheck. Because of this, home-ownership is declining, and Americans are unable to access the financing they need to make large purchases. Whether this crisis is due to consumer irresponsibility or predatory lending ultimately doesn’t matter. What does matter to you and your clients is finding a solution to their individual problems. As a credit repair consultant, your role is to counsel customers and provide the advice, education, and resources to access credit for which they wouldn’t normally be approved. Clients can sense fairly quickly whether you are approaching them to make money and close a deal or if you are sincerely interested in helping them. If you want to have the right relationship with your clients, you have to be in it for the right reasons. By focusing on building trust and asking the right questions, you can build a simple, targeted marketing and sales strategy. People often know what their problem is but need to be educated on the solution. Who you target depends on your passion and purpose. Remember the standard sales and marketing funnel (attract, engage, nurture, sell, deliver), but also remember that every business is different. Your funnel may be different based on your personal philosophy, and that’s okay. Credit Repair Cloud can take a lot of the heavy lifting out of engaging and building trust with potential clients through automation features. If you automate your system the right way, customers will already know about your personal beliefs and passions, how you may be able to help them, and why they should trust you — before you even have an initial conversation. A landing page: When a potential client clicks on an ad, they should be taken to the web lead form on your site where they can enter their contact information — and you will receive a lead in your Credit Repair Cloud for your sales team to follow up. An introductory email: Once a client requests more information through your landing page, they should receive a welcome email from you. This should inform them about credit repair in general, but more specifically about why you got into credit repair and why you feel passionate about helping people. This will set you apart from others in the industry and begin building trust. An educational email: After a day or two, follow up with an email that includes educational resources. Clients will feel that you are not just trying to sell to them but sincerely want to help them with their situation. Even if they don’t sign up with you, you still want to provide the resources to help them help themselves. Continue to follow up with occasional emails or phone calls to build trust. Even if that particular client does not sign up for your services, you will be at the top of mind if they or someone in their network needs credit repair in the future. 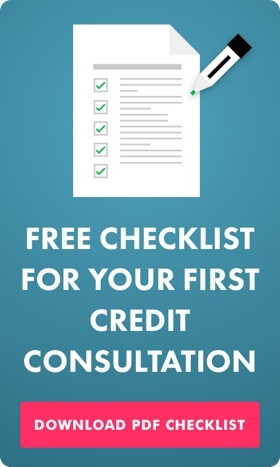 Ultimately, the goal is to invite the client to a free consultation where you will explain the credit repair process, how the bureaus work, give them a general timeline, help them order a credit report, and encourage them to start services. Be honest and realistic. Be affordable and never promise things you cannot deliver. Remember that credit repair is a “people business.” You’re not doing anything that they cannot do for themselves, but you’re doing it in a more organized manner because you have software to save you time and keep you organized. You also have a better sense of the law and how things work. This makes you the trusted expert. Each time you work in Credit Repair Cloud, your client will be notified of changes and updates. They can log into their portal to see your progress, and it makes the entire process transparent, with no secrets. Transparency builds trust. Those three things alone will increase the score, and that’s only the beginning. Congratulations! After a successful marketing and outreach campaign you’ve found a prospect that is interested in becoming a client. This should be the basis of your sales script. Give a brief overview of your services, but otherwise listen to the prospect’s story. This is a great time to gauge their goals, pain points, and whether or not the prospect is a fit for your services. Make sure you walk away from the initial call with a realistic goal and timeframe. If the prospect is looking to buy a home in 30 days, it may not be worth moving forward to the initial consultation. There are several different ways that you can get a copy of a potential client’s credit report. Our experts recommend helping prospects pull the report themselves with their own credit/debit card. Typically this costs the client $1. When the client orders their own report, they do not suffer a hit to their score. Have a very clear process in place for this, whether it be through an automated email, webinar, or over the phone. The quicker you can get a copy of the credit report, the sooner you will be able to convert the prospect to a client. Once you have a copy of the prospect’s credit report, you will be able to quickly go through it to determine whether the client is a good fit for your services. We recommend having a checklist that you can fill out to ensure you can quickly grab all relevant information. The hard facts: How many derogatory accounts, collection accounts, inquiries, and incidences of incorrect personal information exist on the credit report. This is the client education piece. The client’s goal and timeframe: If you were unable to determine this information in Step 1, make sure you know it before converting a prospect. If you agree to help a client buy a car only to later find out they want to make the purchase next week, you will have a very unsatisfied customer on your hands. Be very clear about what you can and cannot offer and a reasonable timeframe. The biggest mistake we see credit repair professionals make in this step is spending too much time on the details. DO NOT confuse the initial consultation with the audit. You should not be spending a large amount of time on a free consultation. Based on your initial conversations and consultation, determine whether or not the individual is a good fit for your program. Whether or not you choose to accept the prospect as a client, make sure to document the reasoning behind your decision. This is helpful for your own purposes of creating defined selection criteria, and is helpful in the case of a government audit. This is the point in the process where you can sit down with the client (either virtually or in person) to sift through the details of his credit report. Credit Repair Cloud’s software automates the audit with Simple Audit in about 30 seconds. Then, go through every piece of inaccurate information and ask the client to weigh in on what should be disputed and in what order. Getting the client involved in the process will ensure that he has a reasonable expectation for what to expect and is ready for the next steps. After performing the audit make a detailed action plan and share it with the client. Make sure that they understand what you will do and what they can expect. If you have any collateral materials describing the process, share them at this time so the client feels prepared. Regardless of whether your credit repair company has one employee or 100, creating and implementing a clear process for converting prospects to clients will help reduce inefficiencies and provide more opportunities for business growth. The steps listed here are a great outline of what the steps this process should contain, but remember to customize your methods to best fit your company’s needs. Learn what to say, how to say it, and the keys to creating a credit repair sales script that gets clients pouring in! As a credit repair business owner you know that what you do changes lives. You know that there are thousands of people around you that are in need of what you do, and who would be so happy to use your services...if only they knew about you and what you do! Credit repair is a business that changes lives, plain and simple. You need to know how to tell people in a simple, clear, and compelling way how you will help them repair their credit and reach their financial goals. The best way to do this, especially when starting out, is to have a credit repair sales script. 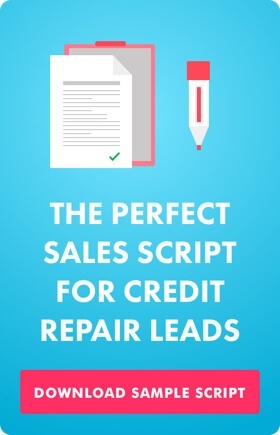 Read on to learn why you should use a credit repair sales script, the basic elements to create a script (or a few), and how to make a sales script work for you to grow your business. People want to do business with people they like. The key here is to tell enough about yourself to prove credibility (brief) and then ask questions about the other person. As people we people love to talk about ourselves because it makes us feel appreciated and heard. Be direct and ask why this person wants to improve their credit. He or she will be more invested when they recognize why they’re working with you. Bonus: you can remind them down the road to keep them focused on the work they need to do (like forwarding you any letters from creditors). Remember, their pain point is your selling point. As a credit doctor, you must know what ills the patient before you can help them. The credit repair sales script below has some excellent questions you can ask to get to this in a tactful and direct way. There is a comical scene in the 2002 film My Big Fat Greek Wedding where the matriarch tells her daughter, “The man is the head of the household, but the woman is the neck.” While we aren’t suggesting everyone follow social norms in their family structure, the idea is clear: you may be talking to someone who says they can make the decision, but if they hesitate or need to “talk it over with [insert decision maker here]” you should find a way to speak directly with the other person and show them the benefit of your services. Giving a clear timeframe is another great way to see if this person is ready to move forward. You must know if this person is actually financially able and willing to say yes to you. Read the credit repair sales script for tips on asking about budget. This classic sales question primes the person to say “yes” later on. It is a small, seemingly innocuous part of the process that gives you a yes before you get the final yes of getting started. There is a saying in sales “go for no.” This means try to get the person to say no. Ask for a commitment to work with you for their benefit. If they say no at first, you are actually a lot closer to a yes than you think! Any seasoned salesperson will tell you it’s not as important what you say but how you say it that matters. Remember the three key reasons for a credit repair sales script from above and keep them in mind as you use your sales script. Preparation beats talent This is a conversation, which means you will need to take some time to get familiar with your script so you sound human. Practice saying it out loud to yourself or practice when you are helping family and friends repair their credit. You will get better the more you practice and it will sound natural sooner than you think. Even if you don’t sound natural, the words in the script will guide you on exactly what to say. Pain points are your selling points As a credit repair business owner you aren’t giving your clients a service - you are providing them feelings of ease, of trust, and of relief. You need to keep your initial sales call very simple so that you can ask a lot of questions and understand your sales lead’s pain points. 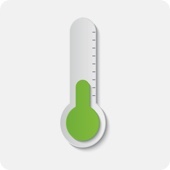 A common goal Think of your best sales experience. Maybe it was the realtor who helped you find your dream home or the personal trainer who convinced you to take better care of your diet or the car dealer who helped you get that Mustang you were dying to have. When someone helps us get something that we already want, we don’t think of it as a sales process. We feel gratitude and we would gladly pay them again or refer people to them for their services because we shared a common goal of finding the thing that we wanted. As a credit repair business owner your first duty is to truly share this common goal of improving your clients’ financial situation and helping them achieve their goals. On a phone call or talking in person the sales script is like a choose your own adventure book: the story is all there, but you may get to it a little differently each time depending on the client. “Business credit” is credit that’s linked to a business’ EIN number, not the owner’s social security number. Every highly successful publicly owned and private company in the United States has business credit, it’s how they get large amounts of credit and money without their CEOs or owners needing to supply a personal guarantee. Even though this type of corporate credit is used by the largest businesses in the country, most entrepreneurs don’t know that any business of any size can actually obtain corporate credit. Even startup businesses can build business credit as long as they know and understand the steps to do so. For credit repair companies this is very important because, on average, 25% and sometimes more of the clients you talk to also own businesses. This means that while they are having their credit improved, customers can also be quickly building a separate credit profile for their business and obtaining credit that’s not linked to their personal credit. Business credit provides many benefits to entrepreneurs. Here are five essential facts you should know about corporate credit. Business credit is credit for a business, linked to the business’ EIN number, not the social security number of the business owner. This means that, when done properly, business credit can be built without the SSN number even being supplied on the credit application. A business owner can start getting approved for store credit cards at most major stores with even a little business credit established. When applying, they can leave their social security number off of the application — in which case, the credit issuer then pulls the EIN credit report instead. Since the credit issuer sees a business’ established tradelines, a business credit score, and a business credit profile, credit card approval could be issued based on the EIN credit, not even looking at the personal credit report. Without a personal credit check, personal credit quality is not a factor at all in the approval decision. These business accounts won’t even impact the consumer credit score. There are many different credit scores in the business world. The most common of them is the Paydex score from Dun & Bradstreet. Another is the Equifax Commercial’s primary score. Both are solely based on one factor: payment history. So all that’s required to get a good business credit score is to get approved for accounts that report to the business reporting agencies and to pay those accounts as agreed. And you can accomplish this even as a startup business within 60 days. As you can see, it’s solely based on payment history, making it easy to control and fast to build. This is just one of a multitude of benefits that business credit provides. One of the biggest benefits of business credit is that the business owner doesn’t need to personally guarantee their business debts. This means that if the owner ever goes late on an account or defaults, their personal assets can’t be pursued for collection — only the business assets can. This is important as it separates the business’ liability from that of the business owner. It’s also important because it keeps the owner’s assets secure no matter what happens within the business. If given a choice, almost all business owners would rather not personally guarantee their business debts. And, although this isn’t always possible, with business credit it is. In addition, credit limits on business credit cards are much higher than with consumer cards. SBA states that limits are 10-100 times higher than consumer card limits, giving the owner a much greater credit capacity. Personal credit cards are not designed to be used to grow businesses. Their limits are notably smaller because an individual doesn’t require as much capacity as a business does. For example, you might need only $2,000 to purchase a really nice personal computer, but for your business, you might need $10,000 to buy multiple computers. So, by default, limits on business cards are much greater than consumer cards. This gives the business owner the ability to get very high limit accounts and to do so within 90 days or less from starting to build their business credit. In the consumer credit world, anyone who pulls credit must have permissible purpose according to the FCRA (and so, your permission). But in the business world, anyone who wants to pull your credit can do so. This means that your customers, clients, prospects, and even competitors can easily see what’s on your credit reports. They can easily access your credit scores, payment history, high credit limits, balances on accounts, tax lien data, collection data, and so much more — all for as little as $15. Since this information is so readily available, it is essential that business credit reports be built and maintained — because they are a reflection of you and your business. And, of course, almost all credit issuers and lenders pull business credit before making a lending decision. So, without business credit, your ability to get real corporate credit or loans is significantly reduced. As great as business credit is, Entrepreneur.com reports that 90% of business owners have no idea how to build it. 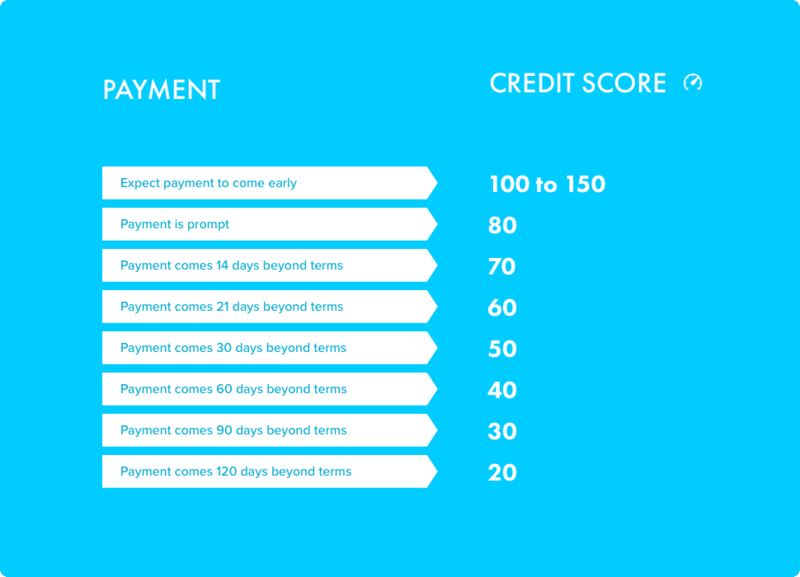 But once the initial profile and score are built, it’s then easy to continue to use the EIN credit to qualify for more and more credit. Get approved for vendor accounts. The first step in building business credit is to get approved for vendor accounts. These are credit issuers who will give you initial credit even if you have none now. Vendors such as Uline and Quill offer products you and your customers want and need, and they report your credit to the business bureaus — thus helping you establish initial business credit. With five vendor accounts reported on your business credit reports, you’ll have tradelines, a business score, and a profile. That will then be enough to move on to the second step of building business credit, which is getting store credit cards. Get store credit cards. Dell, Apple, Lowes, Staples, Amazon, and most other retailers do offer business credit cards without tradelines or a personal guarantee. Some retailers, like Amazon, will approve you for credit even if you only have five reported tradelines, while others, like Home Depot, might require 10 or more. Regardless, most major retailers do offer corporate credit. Get approved for cash credit cards. Once you have 10 reported tradelines, you can then start getting approved for cash credit cards such as Visa and MasterCard accounts that you can use anywhere. Limits are commonly between $5,000-10,000 initially, and this type of credit can be obtained within about 4-6 months from starting to build initial business credit. Business credit provides so many benefits that it simply can’t be ignored. Getting high limit accounts, getting access to credit quickly, not needing to supply a personal guarantee or a personal credit check, as well as having access to much more credit than one can ever obtain on the consumer side are only a few of these major benefits. Make sure that you introduce business credit to your customers. This way, while you are repairing their consumer credit, you can also be helping them build their EIN credit, providing even more value for your services. Starting a new business, any kind of new business, can be overwhelming. Starting a credit repair company can be even more so because a large part of your time will be consumed with learning the ins and outs of the credit system. However, as startups go, a credit repair business is one of the most affordable startups you’ll ever find. The profit potential is huge, and all you need to get started is a computer and a phone. With the right focus, you can launch this business in less than 30 days. Many people struggle with figuring out where to even begin. This seems obvious, but your name is a crucial part of how potential customers and affiliate partners will view your business. The name should be clear, memorable, and professional. People shouldn’t have to guess what your business does, but something dry like “Acme Credit Repair” will be difficult for people to remember. Try to choose something that reflects your personality and conveys a feeling of confidence. Once you’ve chosen a name, do a simple online search to make sure no other credit repair companies are using that name. It is also useful to search the domain that you’d like to use (i.e., www.acmecreditrepair.com) to see if it is available before moving forward. It would be very difficult to bring on new clients without a website. After all, this is the public face of your business. Not only are websites a great source of information for potential clients, they also add legitimacy to your business. If you need a professional website fast, visit www.mycreditrepairsite.com to create a complete prewritten site in minutes with no skill required. Once you launch your site, you can change the images, colors and text to make it unique. If you’re a Credit Repair Cloud user, you can add the Web Lead Form from your Credit Repair Cloud so leads and clients can request a consultation or sign up right on your site. And if you use Chargebee, your clients can add a credit card to start their monthly payments to you. This will save you hours and headaches. If you have the budget for it, you can hire a local web designer to build you a custom site that’s clear, professional, and engaging. And if you add a lot of unique and original text to your site or even start an informative blog, Google will reward you with more traffic. When you’re ready, submit your site to Google to be added to their listings. You can submit your site at www.google.com/addurl. It will be difficult to scale your credit repair business without credit repair software to manage it all. Credit Repair Cloud is designed to grow and scale your business. It imports credit reports, analyzes them, and creates dispute letters faster than any other method. 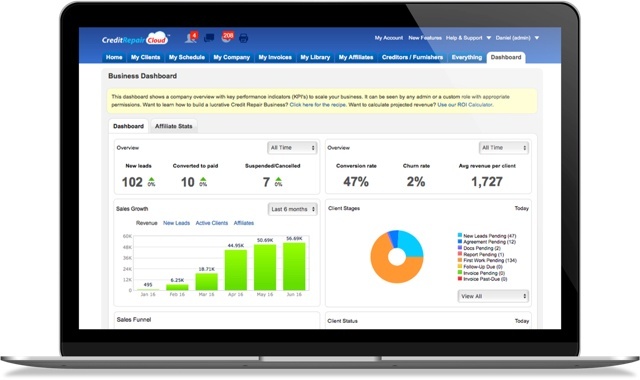 It also improves communication with clients and affiliates and gives you the opportunity to https://www.creditrepaircloud.com/blog/what-does-a-credit-repair-company-do-that-consumers-canthttps://www.creditrepaircloud.com/blog/what-does-a-credit-repair-company-do-that-consumers-cant. Best of all, it reduces your workload to less than 5 minutes per client per month. Just 2 clients can cover the cost — and all the rest is profit. So that makes it very affordable. Tip: If you do use Credit Repair Cloud, take advantage of our https://www.creditrepaircloud.com/blog/topics-to-learn-in-credit-repair-traininghttps://www.creditrepaircloud.com/blog/topics-to-learn-in-credit-repair-training! It’ll get you up to speed in no time. Just remember: if you’re going to spend your whole day in one software, make it one that you love. Monthly recurring payments are the key to profits. Make a plan that is simple and affordable. Don’t have dozens of plans based on what you think a certain client can pay. Think big! The goal is to have hundreds (or thousands) of people each paying you a simple monthly fee. For this to happen, it must be affordable. Remember, with credit repair software your work will be minimal (around 5 minutes per client per month when you’ve got your flow down), so charge a minimal fee. Hint: the biggest credit repair firm in the country (initials are L.L.) charges most clients between $59 and $99 a month. Pay-per-delete is not a good credit repair business model. Your revenue can never grow very well because you cannot scale yourself or your time, so you will never achieve critical mass. It will be a lot of work with little pay off. (This is why the biggest and most successful credit repair companies always charge affordable monthly recurring payments.) Learn more at http://www.creditrepaircloud.com/blog/pay-per-deletegood-business-model/. This is not a requirement from the start, because you can certainly take cash and checks from clients, but if you ever want to take credit cards, you’ll need a merchant account for credit repair services. This is not as easy as it sounds because most merchant account providers will not allow credit repair — because they consider it to be “high risk,” which they lump in the same category as vapor cigarettes and tech support services. For that reason, you need to contact a merchant account provider who specializes in your type of business. Visit www.creditrepaircloud.com/merchant for details. If you plan on growing your business, this is a crucial element that you do not want to skip! A payment platform and a merchant gateway are not the same thing. In order to have a successful credit repair business, you will need both of them (and they must work together). 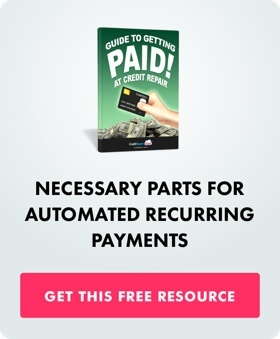 A recurring payments platform is software that creates the billing plans for your clients and collects monthly recurring payments from your clients. It also sends “dunning” letters when cards decline or are about to expire. Credit Repair Cloud is integrated with ChargeBee, which is the most affordable payment platform we’ve ever seen — and it’s awesome. Once activated, your clients can sign up on your website with a credit card and show up in your software. Their payments can be triggered by events in Credit Repair Cloud. 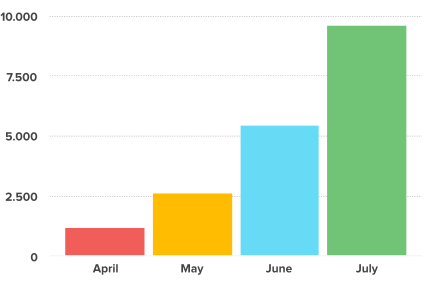 The first month of Chargebee is free, and after that, the price is very affordable. It pays for itself in the extra revenue it collects for you. Business cards: Business cards are inexpensive to make. You can get awesome business cards for under $20 at vistaprint.com or moo.com. Flyers and brochures: You can make flyers and brochures a few at a time at your local copy shop or FedEx Office. Marketing material templates: If you’re a Credit Repair Cloud user, check out the marketing material templates in the “Bonus Materials” button in your Credit Repair Cloud. Simply update the template with relevant material for your audience: images, pain points, and how your credit repair services solves it specific to them. Corporate and affiliate partners are some of the most important relationships you will need for your credit repair company to grow. Corporate partners are local businesses like law firms, CPAs, and designers that you will work with on an ongoing basis for your business needs. It is crucial to build great relationships with these types of professionals for any advice or help you will need as your business grows. Ask around in your network to see if anyone has referrals so you can start the relationship with a strong personal introduction. Affiliate partners are companies like auto dealers, mortgage brokers, and other lenders that often have to turn individuals down because their credit is poor. Making relationships with affiliate partners and showing them the mutual benefits of a relationship can be a priceless pipeline of new business. Organizational structure: as a sole proprietorship/ partnership, C-corporation, S-corporation, LLC, or — in some cases — non-profit. Your tax preparer or CPA will be able to tell you which one will bring you the most savings. If you’re starting this business after working for someone else, you’ll be shocked at the tax benefits of running our own company and in most cases, you’ll be holding on to much more of 160 your income. State and local requirements: Your city might require a business license — again, this is not expensive — ours is around $99 a year. Your state may require additional registration, licensing, or bonding. Check your state government’s website for additional details. If bonding is required, don’t panic. When you use a bonds service like Bonds Express, you’d typically need to pay just 2-3% of the total bond amount. See, it’s not so scary. Rome wasn’t built in a day. Your business won’t be either. Take it slow and do a little at a time. Starting a credit repair company is an exciting undertaking. However, it can be difficult to wade through the thousands of blogs, articles, and advertisements to get the information you really need to get started. By following the steps outlined here, you will be well on your way to signing your first clients. A cursory Internet search for “Credit Repair Scam” will turn up thousands of results containing stories of people who were taken advantage of in the name of credit repair. This is such a problem in our industry that many credit repair professionals have begun calling themselves “Credit Coaches” or “Credit Counselors” in an attempt to get around the stigma of credit repair. Many of the scams discussed on message boards and Internet forums are not, in fact, credit repair companies. The role of credit repair companies is to make sure that our clients are being adequately represented and getting a fair deal as is laid out in credit laws. One organization that is trying to change this stigma is the National Association of Credit Services Organizations (NACSO). NACSO, founded in 2007 in Washington DC, advocates for fair and ethical business practices in the credit repair industry. Some credit repair companies choose to become a member of NACSO to lend more legitimacy to their business and to help change the story around the credit repair industry. There are several ways that individual credit repair professionals can begin to change the negative public view of the industry. Hold yourself and your employees to a high standard. Educate your employees about operating with integrity and create a public ethics statement that is featured prominently on your website. This will help build trust with your clients and help raise the reputation of the industry as a whole. The first, and most obvious of which, is to simply operate your business in the most ethical, transparent way possible. One common ethical barrier that all credit report professionals face is a client claiming identity theft. When going over clients’ credit reports, some may claim that they are not responsible for some of the debt listed. Whether you believe the client or not, it is important not to put yourself in the middle of this claim. As a credit repair professional, you can advise your client to file a police report and submit this report to the credit bureaus. You can offer resources on how to do this through the “Resources” portal on your credit repair software. You should not, however, get involved by filing the report on your clients’ behalf. If it were to become clear after you filed the report that your client was lying about the debt, your company would be held in violation of the law for filing a false report. Filing a claim on behalf of a client is one practice that many credit repair companies may not even know is both unethical and potentially illegal. Educate yourself and your employees on integrity and best practices to avoid a sticky situation. Finally, you can help change the public face of credit repair by getting involved in the conversation. Get active on social media. When you see people talking negatively about credit repair, say something. Explain that credit repair companies like yours are just trying to help people get back on their feet after their credit has been negatively impacted. By holding yourself to a high standard and spreading the word about your own integrity, you can begin to build trust to grow your own business and for the entire credit repair industry. Use a word spinner to jumble the words and trick the system. One company’s credit reports and scores are more accurate than another’s. These are all silly rumors. Just because someone wrote it on the Internet doesn’t make it true. It’s knowing that 8 out of 10 reports have errors and the errors will come off the easiest. It’s about helping victims of identity theft. It’s about educating your clients to handle their finances differently. It’s about doing a service for your community. Yes, you can often remove items that are accurate, but it won’t be by a trick. The biggest Credit Repair Company in America disputes only two to three items per month. If items come back as “verified,” challenge the verification. Sometimes, you may negotiate an accurate item’s deletion. The pros all understand that half the job is educating clients to pay down balances, keep credit card spending below 25% of the credit line, and stop applying for new credit. The color of the ink, the style of the font, or the color of your socks and what you’ve had for breakfast have ZERO bearing on the success of the dispute letter. In the great scheme of things, the only credit bureaus that matter are Equifax, Experian, and TransUnion. Any service that offers tri-merge reports, scores, and credit monitoring is a reseller of data for the credit bureaus. The only reason reports could be different from one to another is that a score can fluctuate daily, depending on the status of your accounts. The other fascinating thing we learned from the largest companies in credit repair: They do not care about credit scores. Scores are irrelevant. What truly matters is that you correct the errors. That’s what you’re being paid to do--and to educate the client to change their habits so they don’t end up in trouble again. If you do those two things, the scores will come up all by themselves. You know you’ve found good friends when they provide support through the unknowns, help you carry your load, and make doing what you do more fun. Your credit repair business software should offer the same level of dependability by being your business’s BFF. You deserve responsive support that’s available when you need it and helpful features that automate your work to make it easier, giving you more time to help more clients and focus on what you love doing. The credit repair business software you choose matters. It can make, or break, your business success. Here are 7 features every credit repair software solution should offer you:. If you already have clients from your main business (be it tax preparation, mortgage loans, or anything else) stored in Salesforce, you’ll want to keep your operations efficient with a credit repair business software that has APIs to support integrations to your chosen tools. Be sure your software releases software updates that reflect industry trends and user needs. One of the most valuable services you provide to clients is writing dispute letters and following up with creditors on their behalf. Since you will be handling hundreds of clients a month, you’ll want to have a system in place to automate the busy work for you. If your experience differs, you should ask yourself if you’re using the right software for your business. Keep reading for other signs you’re onto something good. Credit repair software is the platform for your credit repair business. It should support business growth by understanding and helping set industry best practices. Is your credit repair software company an industry thought leader? Credit repair business owners making millions in revenue need ongoing advice in the form of webinars, training expos, and online business education tools to keep their business growing. Don’t spend half of your first month’s income on your credit repair software. Invest in credit repair business software that has a scalable pricing model for your operational expansion. If you are paying too much up front, you may lose heart. You should only pay more as you increase the number of users--a positive sign that your credit repair business is growing along with your team! A financial affiliate is a business whose leads or customers can benefit from credit repair. Often, by referring leads for credit repair services, the leads will and later become clients of the affiliate. For example, if a mortgage broker cannot help a prospect qualify for a home loan because of a less-than-perfect credit score, he can refer that client to a credit repair company. After the credit score is repaired, the prospect can come back to the mortgage broker for a great loan. Professionals in real estate, the auto industry, mortgage brokers, and more will happily refer clients to you if it means they will close the sale after your shared client is now approved for a loan or a better rate. Ensure your credit repair software offers referral management tools. When they send clients your way, we suggest you send them a thank you in the form of a referral fee. Some of the most successful credit repair businesses built their business 99 percent from affiliate referrals. You can start your credit repair business with only a computer, a phone, and credit repair software, but eventually, you’ll outgrow your home office. Your credit repair business software should support scalable team growth with affordable user pricing, as well as credit repair education and an intuitive UI that makes training your team simple. The most successful credit repair business owners are great at talking with people, and this industry often draws personable folks who genuinely enjoy chatting with their clients and helping out their community. The last thing you want to do is get stuck processing paperwork in the office all day or playing tech support for your business software. Your credit repair business software must automate the dispute process and help your team function seamlessly when you’re in the office or out talking with people in your community one-on-one. When you make an investment in business software, you want to know it’s been tried and tested and other credit repair business owners have found success with it. These days social proof is a critical ingredient to modern business success and almost every website has a testimonials section. Be sure to read through the testimonials and the success stories that software companies have on their website. 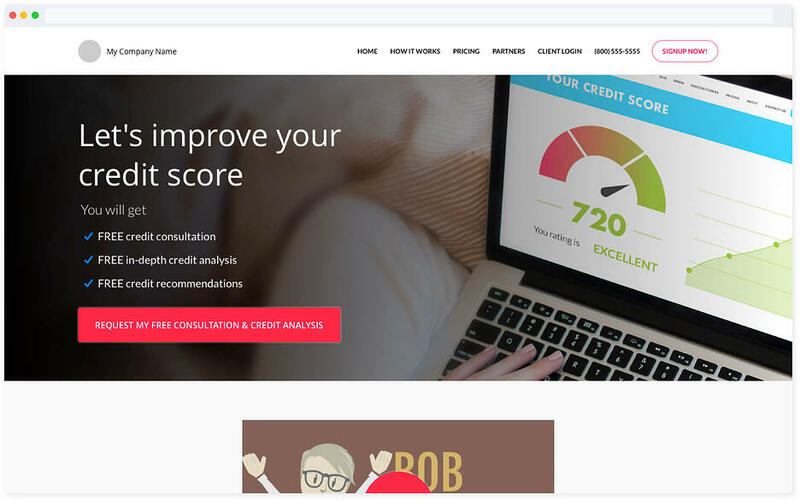 Some credit repair software companies have users who are beyond excited to tell you about how their software helps them run a successful credit repair business. You are entitled to one free copy a year from each of the three major bureaus: Equifax, Experian and TransUnion. 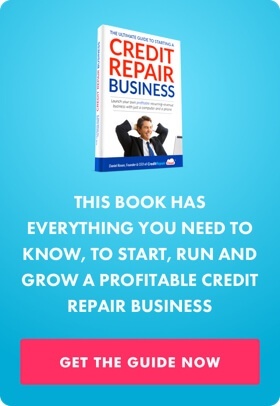 Read the first few chapters on credit repair basics. Read the Fair Credit Reporting Act section. Also see our blogs and other free resources on our site at www.creditrepaircloud.com. Once you obtain your client’s credit reports, you can then work with that client to correct any mistakes, acting as the intermediary between them and the credit bureau or creditor. A credit repair company cannot “erase” negative items that are accurate and have been present on a credit report for less than seven years. However, many accurate but negative items can be removed with a bit of finesse if you learn the right negotiating tactics and approach the creditors and collection agencies in the proper manner. Here is the good news: 79% of all credit reports contain errors. This means that MOST credit reports contain errors.Those errors come off very easily with a few clicks of your mouse. Simply removing errors will improve a score almost immediately. Once you’ve accomplished that, you can further enhance a credit report by negotiating the remaining negative items. The most common mistake entrepreneurs make is in managing their time poorly. Time spent creating dispute letters and handling paperwork can eat up hundreds of hours and drop your hourly earnings very low. This is where software comes in handy. It can help you to work “smart” — saving you hundreds of hours by automating the process and giving you more off-time to enjoy your success. You must be good at working with people. After all, your clients are real people. You must be a good listener and you must have rapport with them. You must also be good at building alliances with other businesses who will refer clients to you. Now that you have everything in place, it’s time to start promoting and marketing your credit consulting business. You might look up local and national credit repair businesses to get an idea of the services they offer and the types of fees associated with these services. Some credit repair specialists don’t charge fees at all. For mortgage brokers and auto dealers, generating leads and closing more loans is worth more than any fee. Go through all the information you can find, decide on your fees and services, and get ready to advertise. It’s easy to create credit repair business flyers and business cards, either professionally or on your home computer. On the flyers, give a brief description about your services and contact information. Remember: Less is more. Post these flyers everywhere you can. You may also want to place small ads for your services in local newspapers, church newsletters, periodicals and with local merchants who deal with financing: mortgage brokers, real estate agents, auto dealers, etc. Offer friends and family your credit repair counseling services for free, and then ask them for a letter of recommendation. This will quickly help to build your client base. Word of mouth is the very best kind of advertising. You may want to consider giving credit repair and debt seminars and classes to help people help themselves before they are too far in debt. Perhaps you might want to give talks at high schools and colleges about ways to stay out of debt. The students will go home with the information you have given them and your business card or brochure, and tell their parents, who may end up as your next clients. Start small and work out the kinks before trying to expand too quickly. As a credit consultant, you should start to build your business locally and become a local authority on credit repair before expanding too fast or going to the Internet. If you build your credibility early when you branch out you will have experience and a history of customer satisfaction to back you up. Stay transparent with your clients. You are providing them with a very important service. They must trust you and your business. Credit repair can be confusing to many. Reassure and give them the information they want about the credit repair process and where they are in that process. This will enhance your credibility and increase your credit repair business well into the future. Don’t try to pretend that you are a large company. Be small and proud. Be the boutique service who will go the extra mile. Running a credit repair business can be made simpler with the help of the credit repair software. It stores your client information to merge into its database of letters, saving you many long hours of letter writing. It’s also designed to grow and scale your business faster. Planning a credit repair business? You should study proven business models first. Study the biggest players. You know them. The very biggest has the initials LL — and there are a few others who are generating hundreds of millions of dollars in revenue. Look at their sites, their simple pricing plans and the similarities — but NEVER copy any text or images from their site or you’ll get to know their attorneys. Just look and gather ideas. Yes, they are making millions. You can, too. Just take it one step at a time. Concentrate on keeping your clients happy and remember that simplicity is the key to scaling later. Structure your business in a simple way, with simple pricing and you’ll quickly have your piece of the pie. The sky’s the limit — but in this business, you might actually make more by charging less. Remember: the goal is to “scale” your business. Yes, but how much should I charge? Since each client takes less than 5 minutes of processing per month (after setup), a small reasonable monthly fee is appropriate. Then just focus on getting more and more clients. Give them awesome service and educate your clients on how to better manage their credit and you’ll have lifelong happy customers. Visit the websites of the largest credit repair companies. They are making millions, so why reinvent the wheel? Just don't copy any text or images from their site unless you’re dying to get to know their legal department. There are countless questions that people have when considering entering the credit repair space. Many have a passion for credit repair and have started researching how to start a business, but are confused about the federal and state requirements for actually opening their doors. Requirements frequently change, so we always recommend consulting a local attorney to make sure you are compliant with all the necessary requirements. Surety Bond: A Surety Bond is an agreement that protects individuals who engage with a Credit Services Organization from possible monetary damages that could occur from the relationship. This primarily applies to credit repair companies who charge clients for their services up front. 161 When you use a bond service, it’s generally a nominal cost because you pay only a fraction of the total bond. For questions about Bonds and to see if one is required for your state, visit www.bondsexpress.com/creditservices-organization-bond/. Business License: Generally, a business license is a permit issued by your city, as a requirement to open any type of business. A business license is very affordable. For many cities, it’s under $100 a year. At this time, only one state (Idaho) requires credit repair companies to be licensed. Incorporation: Incorporation is generally not a requirement, but you may choose to incorporate for tax reasons. When deciding where to establish your credit repair company, it is important to remember that you have to incorporate your business in the same state where it is physically located. For example, if your business is located in Georgia, you cannot incorporate your company in Connecticut. Some people may want to do this, as Georgia is the single most difficult state in which to do credit repair. We have categorized all US states into five difficulty groups based on the amount and severity of state regulations. Keep in mind that this refers only to state regulations — there are always federal regulations that all U.S. credit repair companies must comply with. Very Easy: In these states, there are no state regulations for credit repair companies: Alabama, Alaska, Montana, New Jersey, New Mexico, North Dakota, Rhode Island, South Dakota, Vermont, and Wyoming. Easy: In these states, there are some state regulations, but no real registration requirements (there may be surety bond requirements): Arizona, Arkansas, Connecticut, Florida, Illinois, Indiana, Maine, Massachusetts, Michigan, New Hampshire, New York, North Carolina, and Pennsylvania. Moderate: The majority of states have some additional registration or bond requirements, but they are easy to meet: California, Delaware, Hawaii, Idaho, Iowa, Kansas, Kentucky, Minnesota, Mississippi, Missouri, Nebraska, Nevada, Ohio, Oklahoma, Oregon, Tennessee, Texas, Utah, Virginia, Washington, West Virginia, and Wisconsin. Difficult: A few states have stricter registration and bonding requirements, and may require an annual registration fee: Colorado, Louisiana, Maryland, and South Carolina. Very Difficult: In Georgia, a credit repair company MUST be a 501(c)(3) non-profit organization or an attorney. It is a misdemeanor to operate as a credit repair company without fulfilling these requirements. Specific costs, requirements, and paperwork can be found on your state government’s website. It is important to make sure you are complying with all necessary state and federal regulations when you start your credit repair company. Rules do vary from state to state, if you have questions about regulations in your state, please consult an attorney. For specific information on each of the 50 states visit How to Start a Credit Repair Business in any State. Credit Repair Cloud Users: In certain states you may not be allowed to collect money until work has been done. The solution for this is to do some work and then get paid. In Credit Repair Cloud you can set up Chargebee plans where the "First Work" payment gets triggered after the first round of letters are sent as a workaround. Step 15: Go with us! If you're risk-averse, the idea of starting a new business may be frightening. There are many unknowns when you change careers, which may have you second-guessing the possibilities. Remember, it's outside of your comfort zone that growth occurs. The longer you keep grinding away at an unfulfilling job, the less time you’ll have to grow a business with an unlimited financial upside. In six months, you will probably have the same financial situation and opportunities to grow your income, a paycheck that won’t change, a schedule that can’t flex with your life, and the dream of a vacation that is one big bill away from disappearing. By building your own business, you’ll be running a credit repair company with software that automates the work for you and a supportive team to lay your startup groundwork. The financial opportunity for credit repair in your area is incredible. More than three-quarters of all credit reports in the U.S. have errors that lower a person’s credit score. Your neighbors, your family, and your community are taking on more debt, getting higher interest rates, and feeling stuck in a financial cycle that they don’t have to stay in. Thousands of people are applying for auto loans, mortgages, and making large financial decisions in your city every day. Someone is going to reach out to them and give them the chance to raise their credit score and achieve their goals. Will you be the person to dominate the credit repair game in your town? It’s time to make the choice. Will this be another idea you spend time on and wonder two years later what could have been? Or will you take control of your life’s direction, and invest in a business that gives back to you and your community? The choice is yours. Start a profitable credit repair business today, with a team of credit repair experts a phone call away.